Restore the natural beauty of your smile. Providing healthy smiles for kids, teens and adults of all ages. With our Huntersville dentist, we take pride in our ability to restore and enhance the natural beauty of your smile using the latest and most conservative technologically advanced procedures. The results of our efforts mean that our patients have beautiful and long-lasting smiles! Teeth grinding, known as bruxism, is a habit many get into without even realizing it. Grinding your teeth can be damaging for several reasons. If you or your child have been struggling with teeth grinding, make an appointment to see us. We will assess the damage to the teeth, as well as assist you in addressing solutions. Here’s what you need to know about teeth grinding. Why Do We Grind Our Teeth? Teeth grinding does not have a single cause. Instead, it can occur for several different reasons. Stress and anxiety, an improper bite, and sleep disorders are all potential causes. If your teeth are not aligned properly, they can rub against each other while you bite or chew. Many people grind their teeth without even realizing what they are doing. 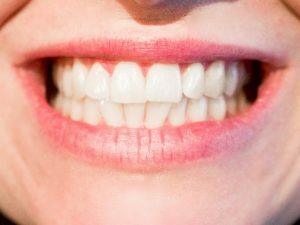 The Journal of the American Dental Association found that smoking and alcohol result in an increase in teeth grinding. In fact, smokers and people who drink alcohol were found to be twice as likely to experience bruxism as those who do not have these behaviors. Grinding wears down your teeth causing damage, increased sensitivity, and even loosening teeth. Teeth are like bones. They can crack or fracture, and grinding has been known to cause both issues. Your teeth can also be flattened from constantly rubbing against one another. Grinding not only damages your teeth, but it leaves you more susceptible to other complications in the future, as well. Beyond your teeth, grinding can lead to jaw pain and headaches. If you wake up with a sore, tired jaw on frequent occasions, this could be a sign that you grind or clench your teeth throughout the night. If grinding is an issue for you, make an appointment to see us. First, we will assess the extent of the damage that may have already occurred due to grinding. We will then work with you to identify a solution that will keep your teeth strong and healthy. In some cases, we may recommend wearing a mouth guard at night to prevent your teeth from pressing against one another. Though it can be challenging, if your grinding is caused by stress, the top priority will be to find ways to reduce stress and anxiety. Stress is a more common cause for adults than children. The primary cause of grinding in children is improper alignment. If grinding your teeth has become an issue, please do not wait until it leads to sensitivity and pain. Schedule an appointment to see us for an evaluation and treatment plan. Our professional dental team will work with you to address the cause of your grinding, and determine a solution that will protect your teeth from any further damage. For more information on keeping your teeth strong and healthy, please contact our office. We look forward to assisting you!